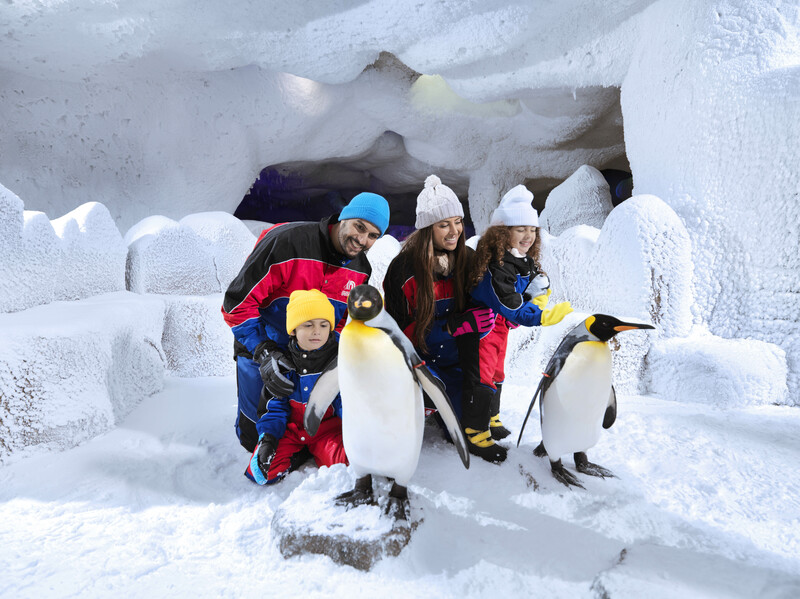 Ski Dubai is home to its very own colony of King and Gentoo Penguins! 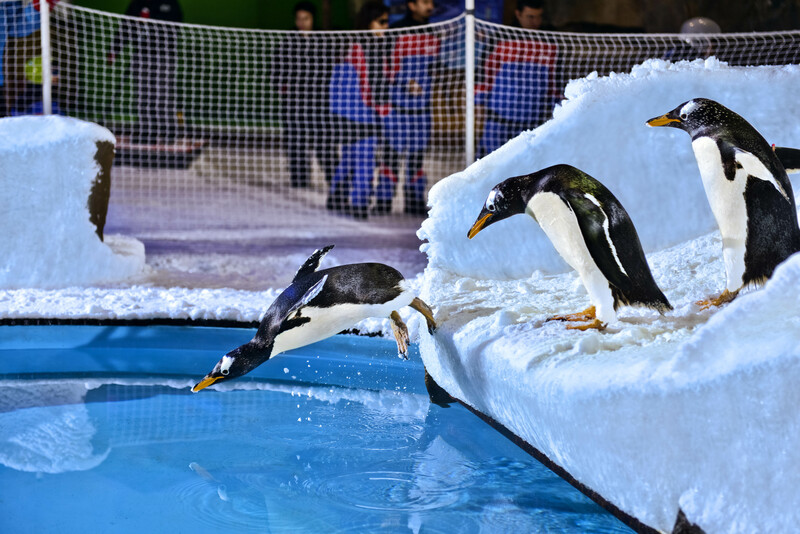 Meet the waddling friends by experiencing a Ski Dubai penguin encounter during your visit. 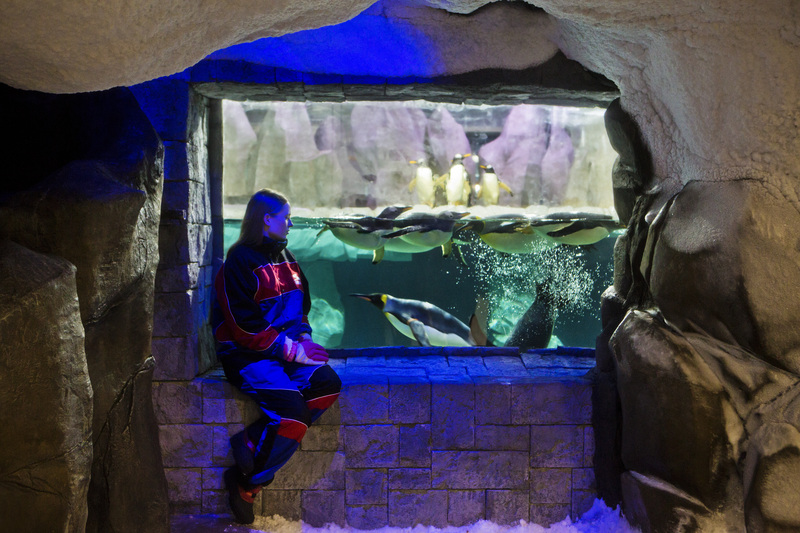 Get up close and personal with these incredible creatures to discover more about how the species survive in some of the coldest conditions on Earth. Founded in 1992, Majid Al Futtaim is the leading shopping mall, communities, retail and leisure pioneer across the Middle East, Africa and Asia. A remarkable business success story, Majid Al Futtaim started from one man’s vision to transform the face of shopping, entertainment and leisure to ‘create great moments for everyone, every day’. It has since grown into one of the United Arab Emirates’ most respected and successful businesses spanning 15 international markets, employing more than 34,000 people, and obtaining the highest credit rating (BBB) among privately-held corporates in the region. Majid Al Futtaim owns and operates 20 shopping malls, 12 hotels and three mixed-use communities, with further developments underway in the region. The shopping malls portfolio includes Mall of the Emirates, City Centre malls, My City Centre neighbourhoodcentres, and four community malls which are in joint venture with the Government of Sharjah. The Company holds exclusive rights to the Carrefour franchise in 38 markets across Middle East, Africa and Asia, and operates a portfolio of more than 170 outlets in 15 countries. Majid Al Futtaim operates 242 VOX Cinema screens and 36 Magic Planet family entertainment centres across the region, in addition to iconic leisure and entertainment facilities such as Ski Dubai and iFly Dubai, among others. The Company is parent to the consumer finance company issuing ‘Najm’ and ‘Voyager’ credit cards, a fashion retail business representing international brands such as Abercrombie & Fitch, AllSaints and lululemonathletica, and a healthcare business that operates City Centre Clinics. In addition, Majid Al Futtaim operates Enova, a facility and energy management company, through a joint venture operation with Veolia, a global leader in optimised environment resource management. The Company also owns the rights to The LEGO Store and American Girl in the Middle East and operates in the food and beverage industry through a partnership with Gourmet Gulf.